Nebraska sits in the heart of the Monarch butterfly flyway, and is a significant reproductive and migratory area for these iconic insects. Monarchs and other pollinators play a powerful role in the cycle of life that sustains us, while healthy, balanced ecosystems provide vital benefits to Nebraskans, from the clean water we drink to the clean air we breathe. An enormous amount of Monarch-supporting milkweed and other pollinator plants have been eradicated in Nebraska since 2008, with approximately one million acres of habitat lost. The Save Our Monarchs Foundation (SOM) seeks to reverse this trend, and introduce these plants back into the landscape. 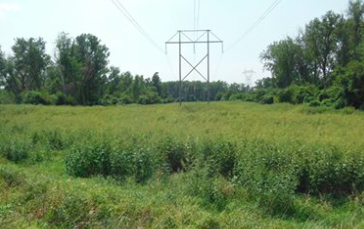 ​This project will create several viable pollinator habitats on Nebraska Public Power District (NPPD) right-of-ways that will encourage the propagation of many invertebrate species beneficial to human endeavors (crop production, hunting, etc.) and to the environment in general. It is the goal of SOM and NPPD that these restorations will serve as positive examples of small actions that institutions can take to create a better Nebraska for all. Please DONATE now to help this project!